This Deluxe kit is specifically designed for a chain link pedestrian gate. It comes with the same hardware as the standard kit: a panic bar, mounting plate, adjustable receiver bracket, stainless steel tek-screws and fasteners but also has the upgraded features of keyed cylinder, lock box and comes with holes pre-drilled for an easy installation. 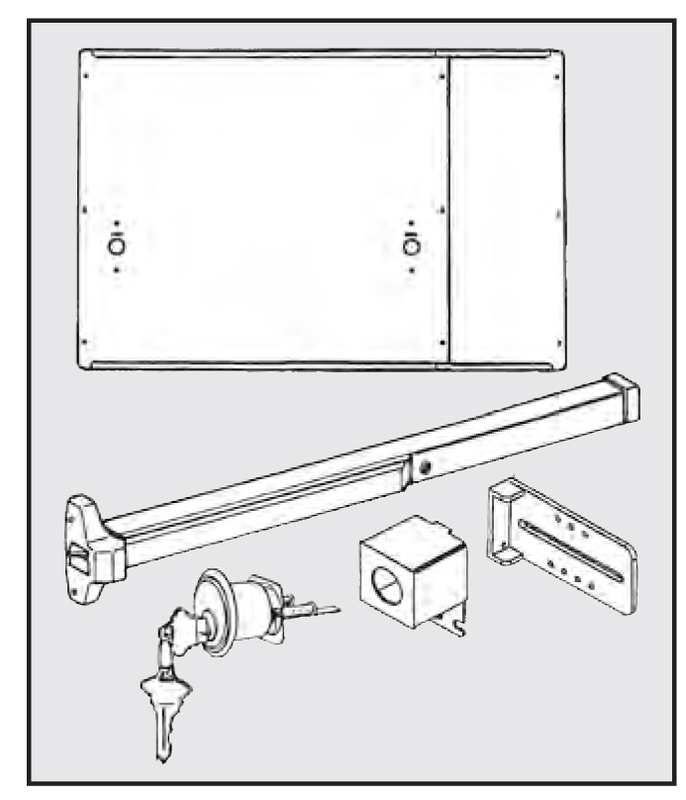 The surface mount #6000 press-type panic exit bar allows for easy egress . The panic bar is equipped with hex key dogging , a feature which can be set to keep the panic bar unlocked by fastening the bar in the depressed position and keeping the bolts in a retracted position. This means that the chain link gate can be opened from either side, and eliminating the necessity of engaging the internal mechanisms for every use reducing the strain on the device's springs and mechanisms. Meanwhile, the mounting plate assists in installing the panic bar but also works to stop unauthorized entry by preventing access to the exit bar from other side. Please select your mounting plate color in silver or black from the drop down options above. The panic bar is available in painted aluminum finish only. 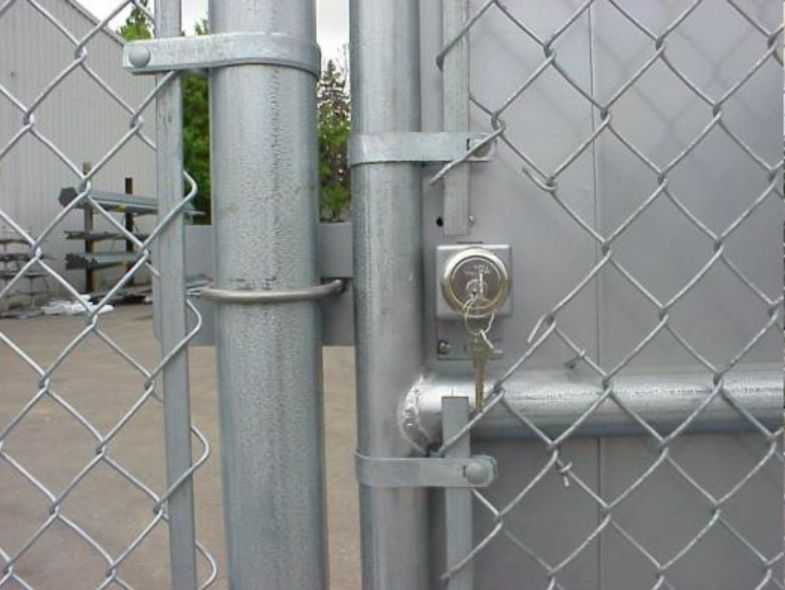 The keyed cylinder and lockbox makes it possible to gain access from outside the gate. 24" tall and width adjustable for 32" to 52" wide gate frame. DAC Industries, Inc. is a manufacturer and supplier of gate hardware and accessories for the fencing industry. Since our founding in 1985 we have grown as a company by providing quality product performance, maintaining competitive prices, and helping our customers develop solutions to everyday problems. At DAC, we are committed to providing our customers with industry leading quality and service, and it is our goal to be your preferred provider of hardware and gate solutions.